1. Boot camp to get this booty into better shape. 2. Celebratory dinner with Kerri and Rob to celebrate her new PhD status. 4. Lunch with the in-laws. 6. Harry Potter and the Half Blood Prince on the tele. 7. The Amazing Race, although my favorites Tommy and Andy were eliminated. They had an amazing run though. 8. 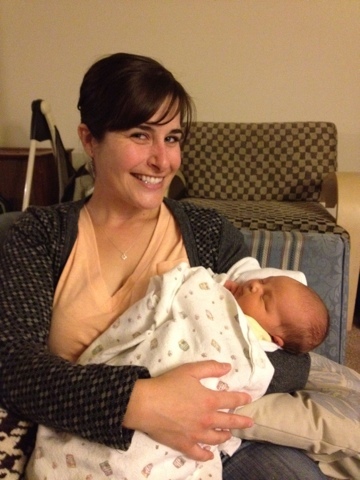 Meeting babies, specifically Miles Sandfer. Please sir, a little wine for me? The circle of life can be cruel.